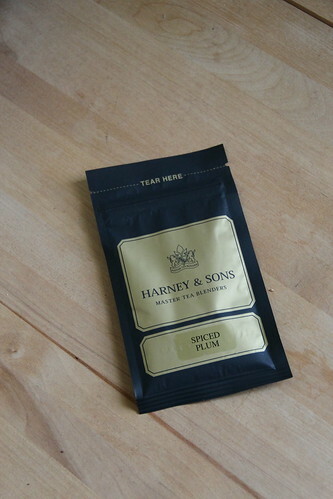 This week I decided to try the Spiced Plum Herbal blend that I ordered from Harney & Sons. 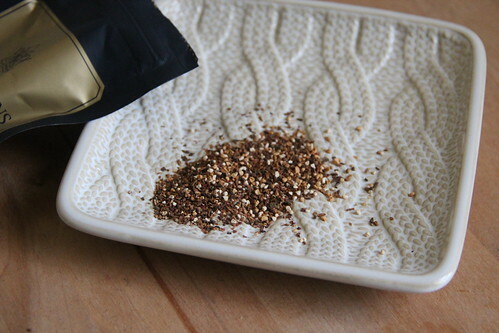 From the website, the blend includes hibiscus with plums and cinnamon. It is available in a variety of sizes: sample for $2.00, 4oz for $7.00, 8oz for $13.00 and 1lb for $22.00. When I first opened the bag I smelled the cinnamon most of the flavors. As it brewed I smelled the hibiscus, but the heavy spicy scent of cinnamon. The tea was a beautiful red. It tasted delicious. It was fruity, but also rich and spicy. I think it would be delightful iced, but it was also luscious hot. This may become another staple of my collection.